The goal of NASCAR qualifying is to have the fastest speed. 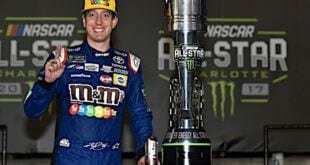 On Friday (March 15) at Auto Club Speedway, forget speed; Monster Energy NASCAR Cup Series drivers couldn’t even complete a single lap. A strategy ploy that failed under the sport’s new handling package ended in embarrassment as all teams were left holding their cards. All 12 drivers who made the final round of qualifying started too late in the session, determined not to be the one at the front of the group draft. Reduced horsepower has made drafting important in order to gain some extra speed for a one-lap run. In many cases, drivers are simply running wide open, not tapping the brakes so they’re searching for any small way to gain time. But this strategy resulted in no times for anyone. No one completed a lap under the system and all drivers were scored with zeroes. It resulted in Austin Dillon being awarded his fourth career pole after having the fastest time in round two. Following the session, fans in the stands of the Auto Club Speedway clearly booed the “show” that the drivers just put on. It clearly affected the competitors, with everyone from Clint Bowyer to Kyle Busch acknowledging the criticism. This incident was just the latest edition of NASCAR qualifying showing its ugly flaws. At Las Vegas, both Alex Bowman and Chase Elliott failed to cross the finish line during the final round. 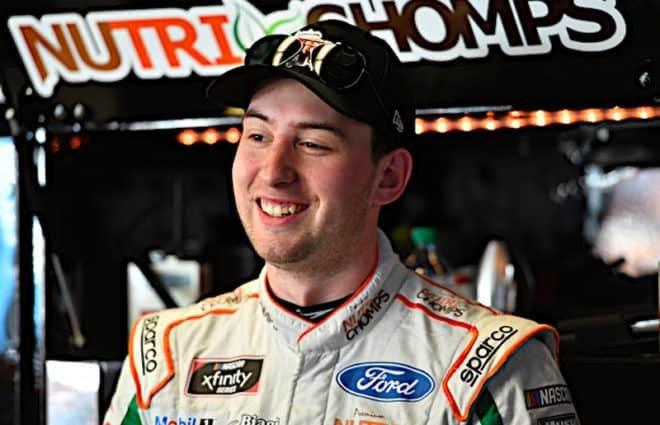 The following weekend, Daniel Suarez and Michael McDowell got into a confrontation on pit road at ISM Raceway. Suarez claimed McDowell interrupted his lap time, an issue that’s a direct result of NASCAR’s group qualifying system. With the series headed to Martinsville next weekend, the importance of drafting lessens under a group system. But come Texas Motor Speedway in a few weeks, these old tricks could be at play unless officials commit to major changes. NASCAR has been using the group qualifying method since the 2014 spring race at ISM Raceway. Since then, it’s been dropped at the superspeedways. 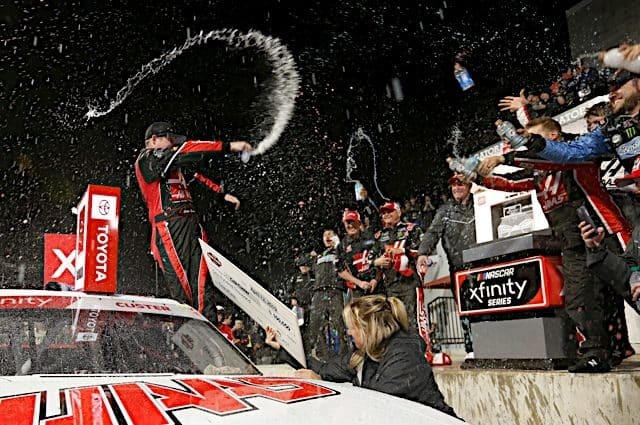 For the sport’s Xfinity and Truck series, it has been dropped at any tracks 1.5 miles or longer. 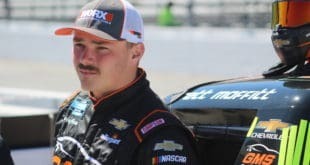 Christian Koelle returns to Fronstretch in 2019 in a little different form. 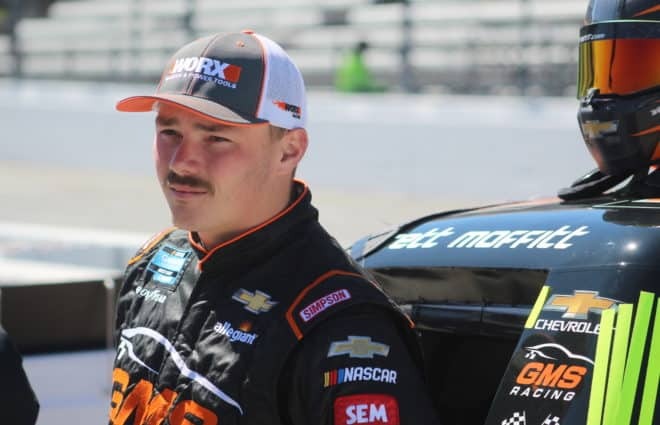 After a year and a half of being a news writer, Koelle will contribute ARCA Racing Series presented by Menards content and photography in multiple different series over the course of the season. 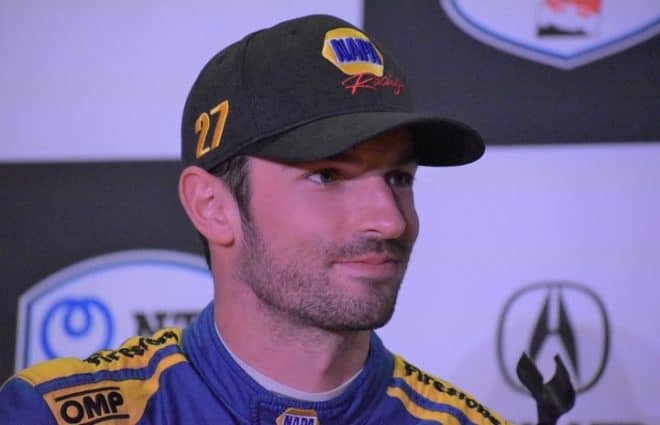 His favorite tracks include Barber Motorsports Park, Iowa Speedway, Martinsville Speedway, Talladega Superspeedway, and Fairgrounds Speedway Nashville. He's looking to attend tracks he's never attended before this season including Auto Club Speedway and New Hampshire Motor Speedway (the only announced tracks currently). He's an avid fan of Iowa State Cyclones football, Atlanta Braves baseball, and Monster Energy Supercross. Simple fix. If you don’t turn in a time in the final “round of 12” qualifying session, you start at the back of the field. Want to make it even more interesting, all cars in the “round of 12,” have to turn in a qualifying lap in the first 5 minutes. If you don;t make an attempt in the first 5 minutes, you go to the back of the field. Turn in a lap in the first 5 minutes, you can go again if you want to try to get a better time. NA$CAR is going to do what NA$CAR is going to do. I don’t see single car qualifying coming back because NA$CAR will not admit a mistake. However, making group qualifying work isn’t that hard. I totally disagree, its on the teams to know the rules and get it right. Quit pampering them by constantly dumbing it down. Geesh, they will figure it out, but not if they keep getting bailed out every time they screw it up. I thought the INTENT of group qualifying was to let drivers take additional laps if they screw the first two up or perhaps wait for a cloud or for the track to get cooler or the driver to finish their dump. I don’t think the intent was to create drafting opportunities or getting in the way of another driver making their lap. So the TEAMS HAVE FIGURED IT OUT,,, “F the intent of the rule, there is a loophole and I am doing what I think is in my best interest and I don’t care what people think or how much it undermines the process”. This is a repeat of what originally happened at Daytona and Talladega when they first went to group qualifying so I don’t know why anyone is surprised. The only guess I can make is that NASCAR didn’t think the drafting properties of this new package would be as high as they are. So now they will have to come up with a new layer of rules to force drivers to do what they knew they should have been doing in the first place; qualify based on their own car speed with no assistance or hindrance from any other car. That is the intent of qualifying. Disagree completely. Nothing more boring than single car qualifying. Love to see innovation, strategy and just letting the teams work it through. 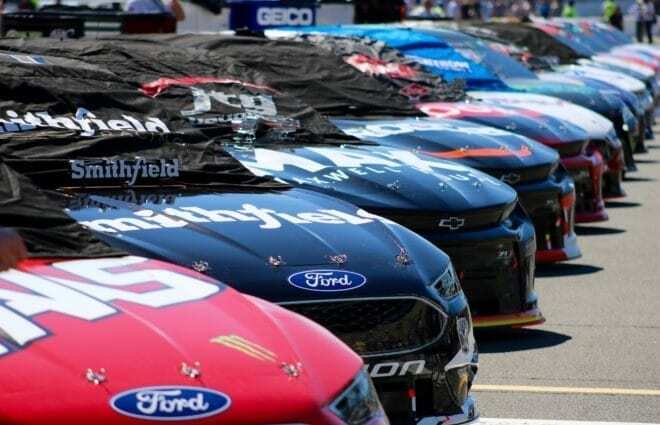 With the cars so even now, NASCAR might just tell them to pull a number out of the barrel in the future. Every time NASCAR changes something there are always unintended consequences. It’s pretty sad when the people in charge, that are really supposed to know the sport, can’t foresee some of them. What a bunch of dolts. I am with everyone else here. Just go back to single file qualifying and be done with it. Get it right! What the hey was wrong with single car qualifying? Hit the track, run your best time, qualify with that. It worked from day one! 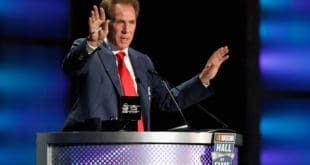 Get someone that cares for NASCAR AND the fans instead of the knuckleheads “guiding” it now… Get off the cookie cutter cars, let the drivers, crews, and owners figure out how to be fastest. 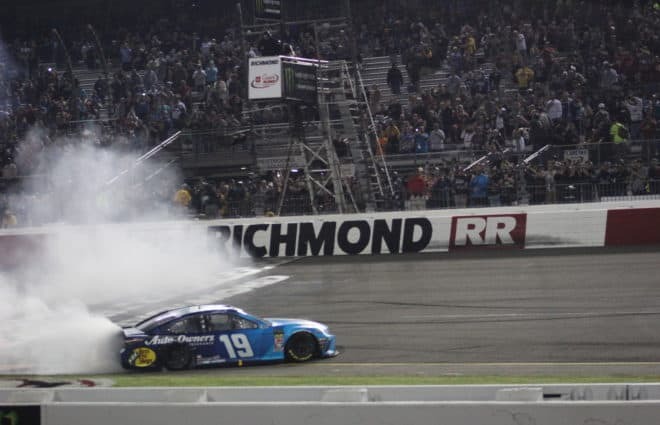 Friday evening was stupid-and every last one of you – drivers, owners, and NASCAR executives deserved what you got. Disgusted! Wow! they just can’t admit that they screwed up royally, can they. Everything they’ve done since 2004 has been a disaster. All because Matt Kenseth won the championship winning just a single race. Comedian Ron White once said, “you can’t fix stupid”, and the powers at NASCAR prove that. How hard is it to admit to their mistakes? What has to happen? Can’t they see the empty seats, and plunging TV ratings? l guess not. Oh well! I started to watch Daytona and gave up due to the stupidity on the track. I haven’t watched a race since but still check here to see what’s happening. Nice to see that I haven’t wasted any time with watching the “sport”. I have tickets to one race, the June race at Michigan, and am only going because it’s the 100th cup race there. After that race, I am totally done. This from someone who has been watching since 1961. It’s very simple. It’s called SINGLE CAR QUALIFING! It doesn’t take two weeks to set up either. Qualifying has become a joke just like Stage Racing. The teams all play games and the looses are the fans. People keep talking about how the ratings, attendance, are down. Well if you look it all started when Nascar, Brian France started messing with a good thing. My Dad used to say, If it ain’t broke it don’t need fixing. Get rid of it completely. As Amy said a few days ago, it is not about the “show” for fans. It is about who is fastest. No Gimmicks.